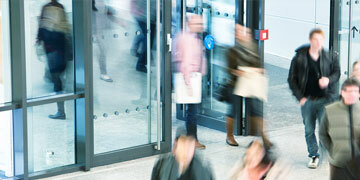 Access control systems have many applications beyond the replacement of lock and key systems. We tailor our systems to your requirements to offer both user convenience and a flexible hardware structure. Electronic door access systems are a critical component to your building and site security and have many applications beyond the replacement of locks and keys. Integrating of this technology with your CCTV and Communications systems allow seamless management and control of any type of event on your property. Our professional staff has decades of experience in implementing Integrated Access Controls for your corporate, healthcare, educational, and government sites. They may include parking and vehicle control, turnstiles, elevator control, lift gates, alarm detection and more.